Directed by Alan Taylor. 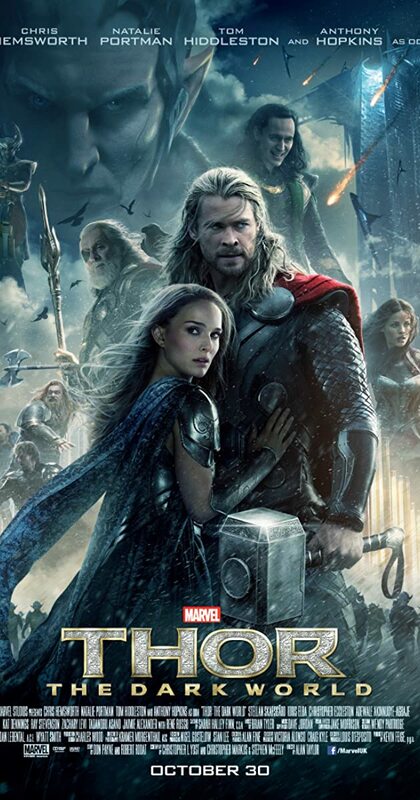 With Chris Hemsworth, Natalie Portman, Tom Hiddleston, Stellan Skarsgård. When Dr. Jane Foster gets cursed with a powerful entity known as the Aether, Thor is heralded of the cosmic event known as the Convergence and the genocidal Dark Elves.